I’ll gladly preface this review by saying I’m not the biggest baseball fan in the world – I was drawn to Out of the Park more for the spreadsheets rather than the sport – but I can confess that my time with the 2018 edition of the classic sports manager has given me a fondness for the great American pastime. When it comes to major league sports, I love the drama behind each play and decision: the heroes and villains, the underdogs and juggernauts, the one-sided victories and the deadlocked games which come down to the final nail-biting inning. Out of the Park 18 simulates all of this and more, giving players the complete sports management experience with a hefty amount of mathematics and enough variation to keep you hooked for months. Related reading: Are you a fan of ice hockey instead? Well, here's the game for you. 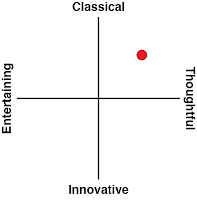 Nick's full review. It’s best that players know exactly what they’re getting into – most of OOTP is going to feel like work. You’ll be sitting at your desk, sifting through in-game emails and tracking player statistics, crunching the numbers to figure out whether certain players are worth their payroll and calculating the odds of winning with an aggressive strategy against a defensive one. It’s a relentlessly numbers-driven system which is alienating at first, but soon belies the simple elegance of baseball. Once players begin to understand how their choices influence their team’s performance, OOTP becomes a powerful cycle of researching, strategising and adapting until your team rises to the top. 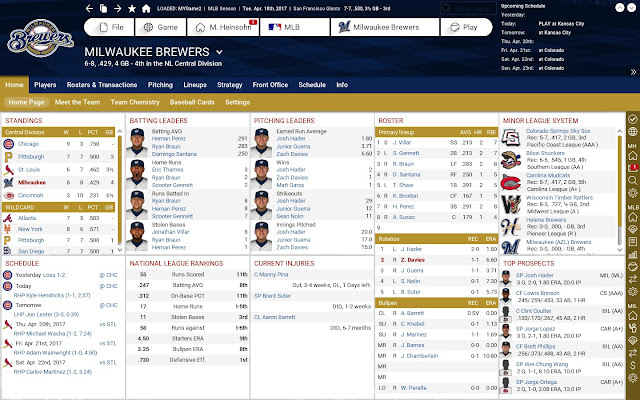 Functionally, OOTP is both a fantasy league and a coaching simulator. In between matches you’ll scout for players and make trades to ensure that your lineup is as strong as possible. On game day, you’ll arrange your players, deliberate on when to make substitutions and micromanage plays down to the individual ball. It’s possible to automate as much or as little as you would like – if you don’t have the patience to sit through an entire simulated match you can make it whizz by in seconds – so the player has some degree of control over the campaign’s complexity. Special mention needs to be given to OOTP’s baseball simulator, which has been improved for the 2018 version. 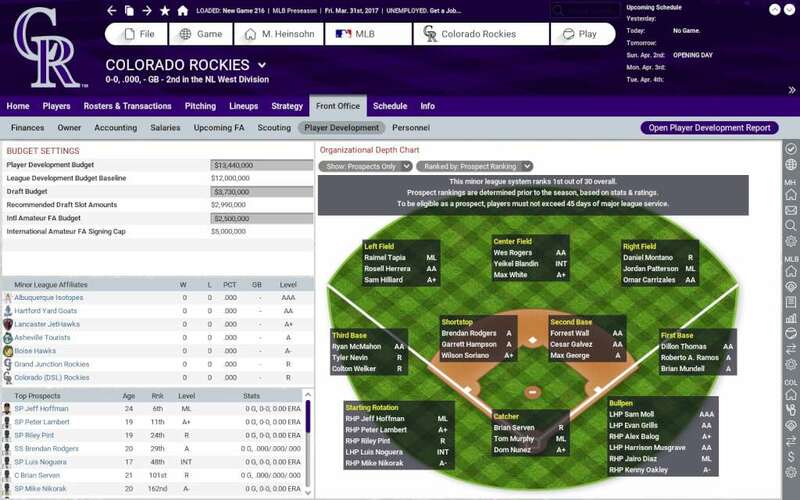 In contrast to the management mode’s spreadsheets-and-menus aesthetic, the simulator allows for players to watch each play unfold with all the excitement of a live game. The series has come a long way from its text-parser roots: 2018 lets you watch the game either as a 2D representation or from a 3D perspective. We’ve not quite reached the point of realistic character models (you want Sony's baseball game for that), but the 3D mode does capture the game in motion quite faithfully. Players are able to customise their experience extensively, thanks to a huge variety of options available right from the start. There is the option to play with a current day league, a historical lineup or to make an entirely fictional tournament – and with stats from over a dozen leagues and spanning nearly a century, the possibilities are limitless. Out of the Park carefully simulates the dynamic history of the sport, from the aggressive mindgames of the deadball era to the excitement of the various team expansions. 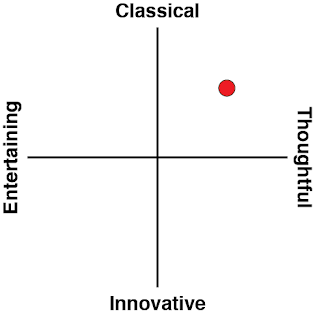 The research is meticulous and is sure to delight long-term fans of the sport. My main gripe, at least initially, is that the game is terrible at teaching players on how to play. There’s virtually no attempt made in-game aside from a few pop-up boxes, after which OOTP will guide you to its online player manual. This manual is extensive, but it only teaches you how to play OOTP – it gives you no indicator of how to play baseball. You’ll learn how to make a trade, call in substitutions and micromanage each individual pitch and bat, but you’ll never be taught when and why each of those things will be effective. You’ll jump into victorious matches unsure of why you won, and get steamrolled by other teams with just as much confusion. 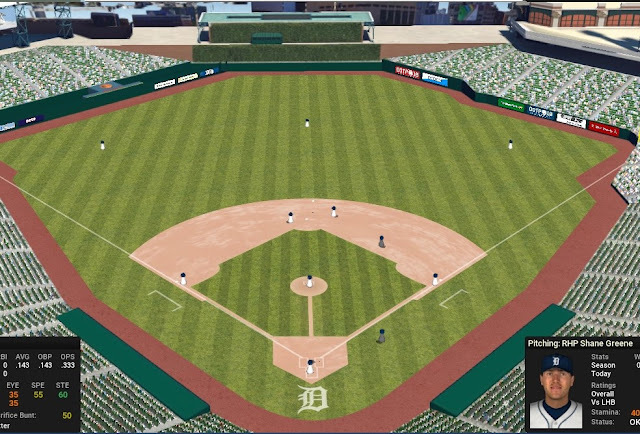 I don’t generally request to have my hand held throughout the course of every game, but I really think that OOTP’s approach is a missed opportunity. It’s not just a game for baseball fans; the engine is so robust that most other strategy and management titles would be put to shame. Players who want to micromanage their team had best come prepared to spend hundreds of hours and effectively learn the content of an economics/statistics degree, and even then, there will be more possibilities available under OOTP’s hood. Despite this complexity, OOTP straight up assumes deep knowledge of baseball from its players, and without a firm grounding in the sport’s rules (particularly the more finicky ones like intentional walking) most of the game’s depth will be lost. Related reading: Of course, the most popular manager series of all is the Football Manager series. Nick's review of the most recent edition in that series. Another small issue are the small amounts of version improvements between ’18 and the 2017 edition. The biggest new feature is Championship Mode, which aims to create a controlled environment where the player is restricted to a realistic amount of funding and customisation – it allows the developers to create an experience consistent for all players, complete with achievements, but long time series fans might find it hard to see this as something new. Graphical and AI updates round out the package, but the real draw to ’18 is the readjusted roster for modern day teams. Despite these issues, Out of the Park 18 is a competent entry in a legendary franchise which offers management enthusiasts a staggering about of depth. Whether you already love baseball or you’re yet to discover what truly makes the sport great, OOTP’s robust engine and deep customisation options cater for the needs of any player. It’s a fairly steep learning curve starting out, but once OOTP hits its groove, it’s sure to captivate your attention for years (or at least until OOTP 19 rolls around).